4.1 How does coolglide vein therapy work? 4.2 What types of veins can be treated? 4.3 How does the cutera coolglide lasers work to remove my veins? 4.4 What do patients feel during the treatment? 4.5 What happens after the treatment? 4.6 Are there any restrictions on my activity after treatment? 4.7 When will I see results? The vascular therapy laser system delivers pulses of light energy which cause the blood within the vein to coagulate, eventually destroying the blood vessel which is then reabsorbed by your body. Blood flow will then be redirected to veins deeper below your skin’s surface. Often, patients find that one or two treatments are sufficient. 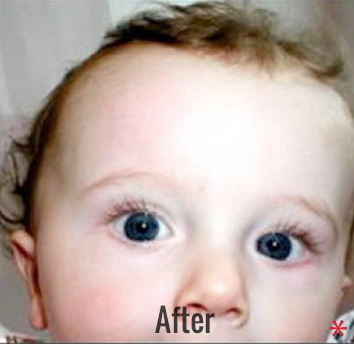 However, the number of treatments necessary depends on the age, number, color, and size of the vessels being treated. 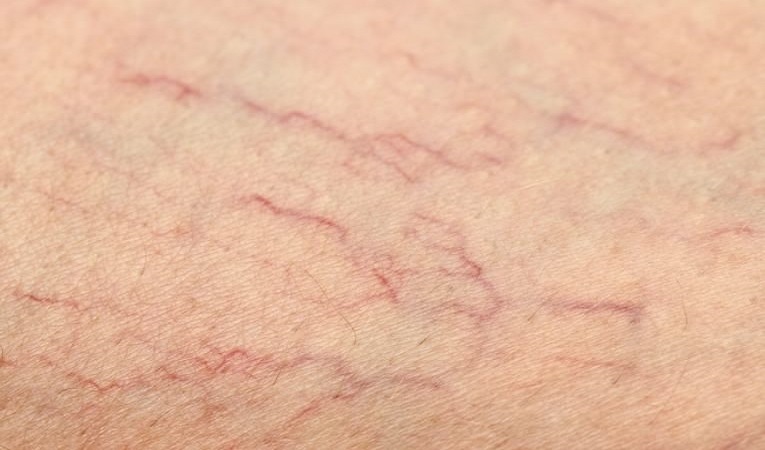 Vascular therapy treats a broad range of vessels from red vascular “spots,” tiny spider veins, to deep blue reticular veins. 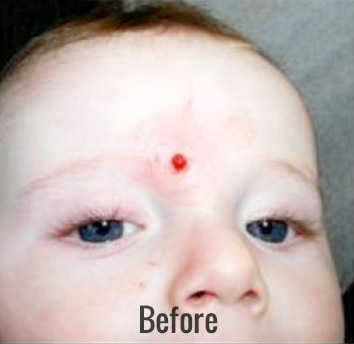 Treatments are performed quickly, safely, and effectively. Most patients find that the majority of the treated veins have shown significant improvement within two to six weeks of treatment. However, your final results may not be apparent for several months. 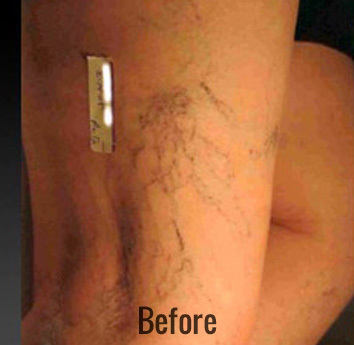 Over time, it is possible for new veins to appear, but these too can be treated. The Cutera CoolGlide systems deliver pulses of light energy which cause the blood within the vein to coagulate, eventually destroying the vessel which is later reabsorbed by your body. Our lasers provide a safe and effective way to remove a wide range of veins by causing the vein to gently heat up, shrink, and disappear over time. Blood flow will then be redirected to veins deeper below your skin’s surface, where it should be. How does the cutera coolglide lasers work to remove my veins? Veins from all parts of the body can be treated, from small red facial veins to spider veins and large blue veins on the legs. 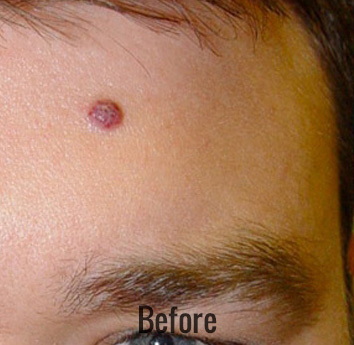 The laser treatments are also effective at elimination other unsightly vascular lesions such as hemangiomas, port wine stains and other vascular birthmarks. 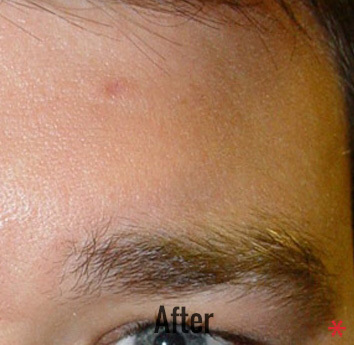 Usually 1 to 2 treatments are sufficient for long lasting results. What do patients feel during the treatment? Most patients experience a stinging sensation as the pulses of energy are delivered through the handpiece. Following the treatment, the pain is minimal to nonexistent. Some redness or bruising may occur. When larger veins are treated, a tan or brownish pigment may persist for a few weeks or months following treatment. Patients generally resume most normal activities immediately. However, it is recommended that you avoid vigorous activities such as strenuous exercise for the first 24 hours after treatment. The use of sunscreen is recommended on any treated areas exposed to the sun. Most patients shown significant improvement within 2-6 weeks of treatment. However, your final results may not be apparent for several months. Over time, it is possible for new veins to appear, but these too can be removed with the Cutera CoolGlide.